Today the course ended and I received the final reports and presentations from the students. On time and ready for grading. Before the course started I wrote to the students about how they could make a difference for people and wildlife. But they could not have predicted how the course would go. On day 1 the students complained of being uncomfortable about interviewing children in a school and the woman in their Boma. They said they felt especially exploitative taking photos. I was a little surprised, in my course I encourage them to take lots for the purpose of their presentations. Yes it might seem exploitative, but its for a good reason – we are trying to tell a story that leads to important change. They found Soila Saiyalel’s personal story about her fighting against FGM particularly confronting. Some of them did not want to continue the discussion, Soila appreciated the concern and said “It’s my story and we must use it if it to ensure that no more girls should be getting cut or being married off young”. While officially FGM is said to be declining, at one clinic we were told that every single woman was a victim of FGM. One major challenge was working with Kenyan counterparts, education, cultural and language were wildly different in some cases. The US students were all interested in ecology, but some of the Kenyan students had never seen an elephant – they were electrical and mechanical engineers. One Princeton student said “I can see that you have intentionally brought in people of different classes and educational background” – I had to stop and think about this – I can see why she thought so but I did not do that intentionally – the mix was a very happy coincidence. 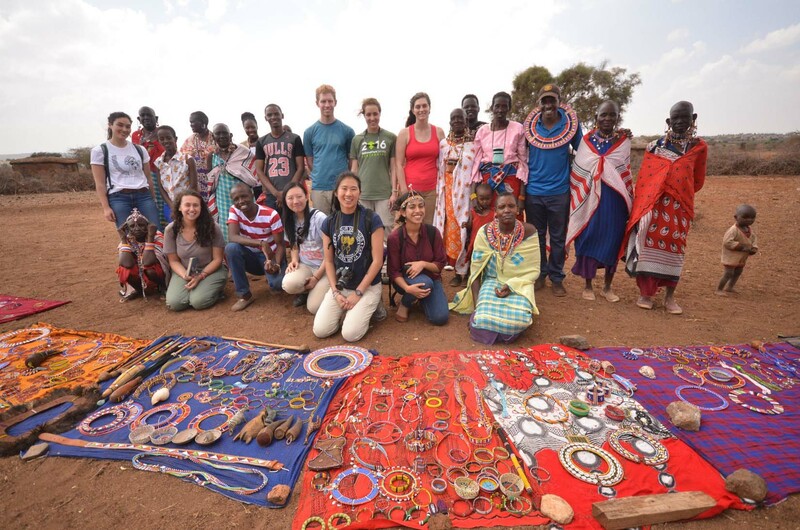 I intentionally brought together people who have the capacity to effect change on issues that really matter – communities that live with wildlife in a landscape suffering drought and imminent famine. To their credit, despite the lack of comfort a times, all students agreed to be respectful, to listen, be resourceful, and to show gratitude. They were staying in a very nice hotel with everything provided, but what I expected was quite challenging, I thought. Until Dhiren came. In half a day this industrialist blew out my ceiling on expectations. He visited the school that we want to transform, children have not had school lunches since 2006, the grounds are dry and dusty, the school academic grades are dropping. He asked my US students what needed to be done, and they listed about 6 things. They zoned in on a few critical items and he asked who would champion them. At first nobody offered. Then Jonathan from the local community put his hand up and offered to be the champion. “No!” Shouted Dhiren – “I am looking at the Princeton University students. They have unique access to information”. That is when one hand went up tentatively, then two more also volunteered and they agreed to go on a study tour of a company in the Midwest. That was when Dhiren turned to Jonathan and said “Go and get a visa, I will pay for your ticket to join them”. Within hours the entire group became aware that this course was an opportunity to make a real difference to real people in Kenya. They were bubbling over with excitement. What we achieved: In only 13 days the students had to plan their research, conduct data collection and analyses data, write reports and give presentations as well as write an individual paper. The presentations attracted a fabulous group of people from hotel managers, to senior KWS officials, researchers, staff from other NGO’s like Big Life, Save The Elephants, a beautiful group of warriors including their warrior chief, Maasai women, some farmers, government education officer and water officer and head teachers and the deputies of three schools. The two presentations were done in English with translation into Maa and every student had to present. Take home messages – the school that learners from pastoral peoples go to, has no food and it’s a famine. Children are unable to concentrate and grades have been dropping consistently for several years. Something must be done urgently to ensure that they do not become malnourished, Children from the elite private school loved wildlife and know about the national parks – none of the government school children did – the difference? Teachers, curriculum, and field trips. 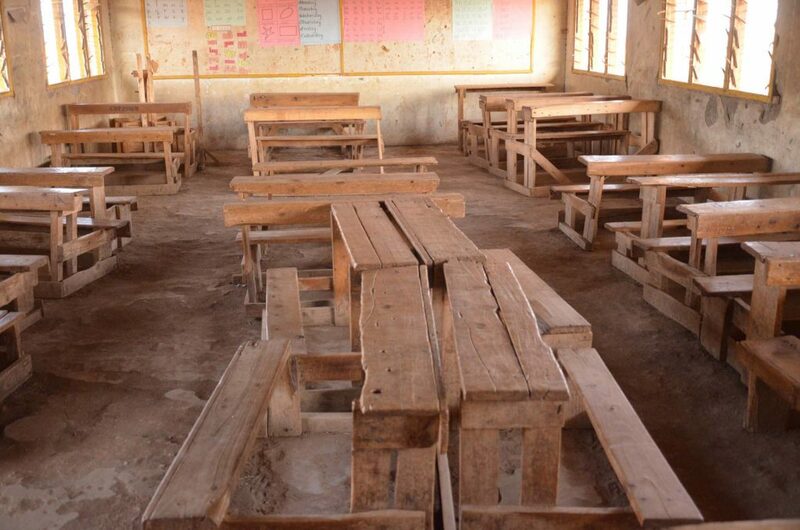 Government schools do not have enough teachers, teachers are demotivated, and they can not afford to do field trips. The proposal was to develop a self sustaining school – a model for wildlife conservation. The job of the Princeton students was to convey their work to land effectively on this mixed audience of people who can make a difference. They worked hard to leave a meaningful impact. They learned the lessons well, told stories, made eye contact, made us laugh, and feel sad, they engaged us in conversations and piqued our interest by demonstrating gadgets. The audience was so moved that afterwards they didn’t want to go home. 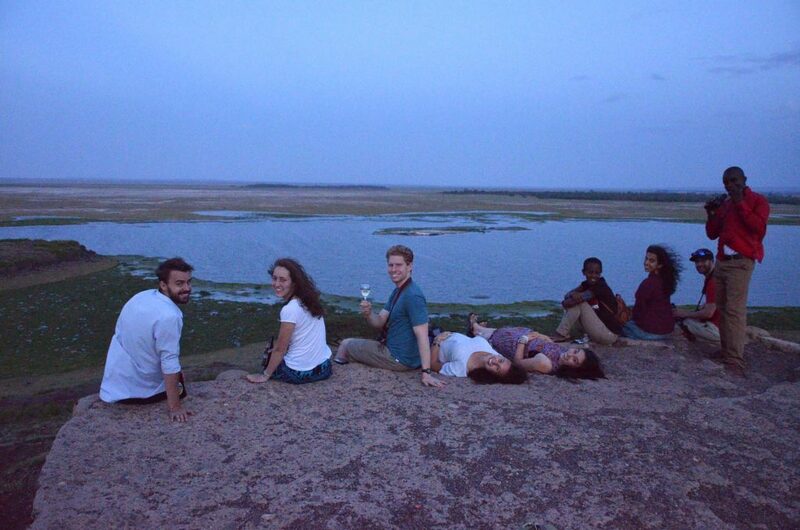 After the presentations we took a celebratory game drive in Amboseli Park and sipped wine as the sun set on distant hills. Only then did the day begin to sink in for everyone. Some students said it was the best course they had ever taken. I congratulated them for being mature, stepping into responsibility, taking on a massive challenge, and delivering way above my expectations. I also told them that I am certain that they were capable of much more. After the Princeton students left for their next course I returned to the womens group to discuss our project, then spent a while in the primary school, with Jonathan and Josephine. 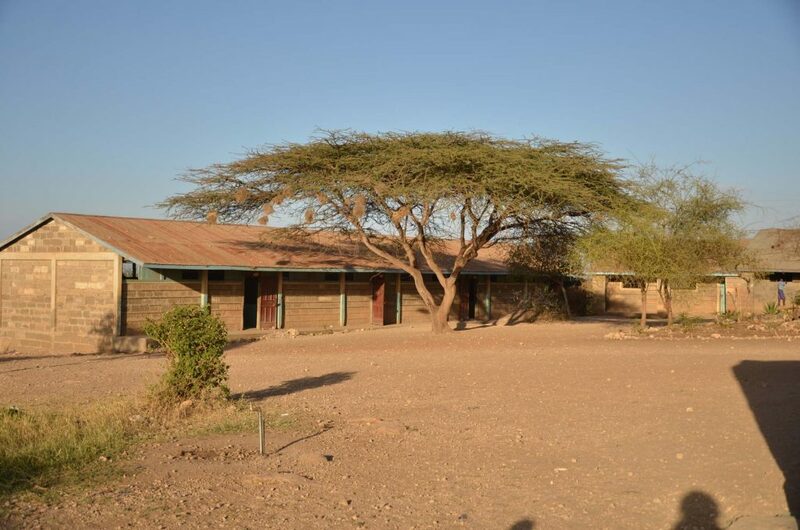 We stood in that dust patch of land surrounded by crumbling buildings and dreamed about how to create a model school. 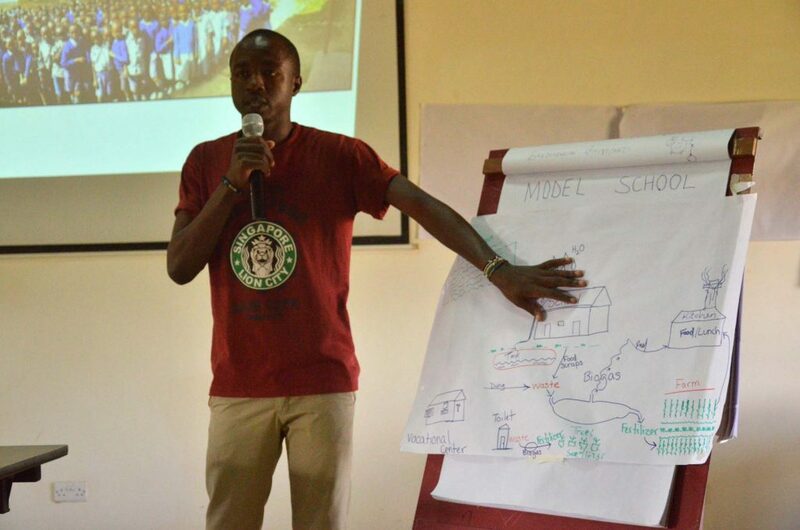 Ideas flowed like milk – we got quite intoxicated at the idea of Kenya’s best wildlife school. The head teacher said she would call a board of Governors meeting next semester. No! Jonathan and Josephine said – this is urgent – call them next week. So I now have 2 new champions and an exciting plan to execute. We will need help – if you want to join us please email me on paula@wildlifedirect.org and let me know! 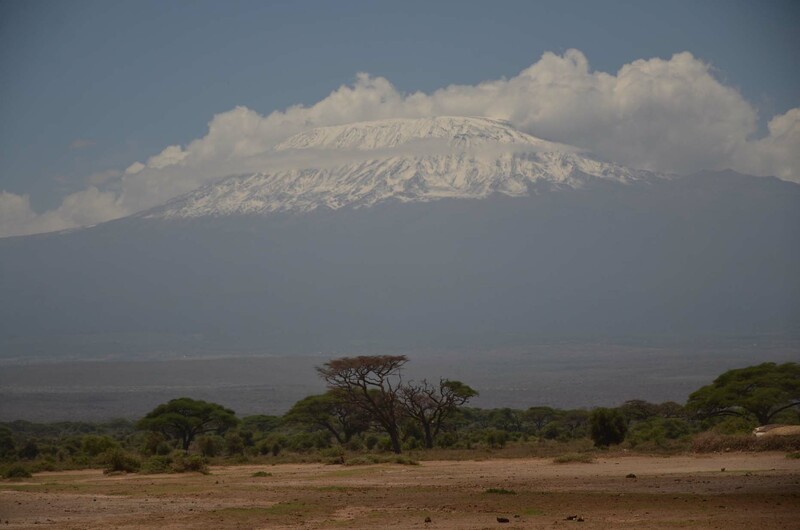 As I left the park to head home I stopped to gape at the spectacular views of Mount Kilimanjaro. And then out of the blue a massive bull elephant stepped into the road right in front of me – I can’t help feeling like this was a gift. I congratulated them for being mature, stepping into responsibility, taking on a massive challenge, anddelivering way above my expectations. I also told them that I am certain that they were capable of much more. The head teacher said she would call a board of Governors meeting next semester. No! Jonathan and Josephine said – this is urgent – call them next week. So I now have 2 new champions and an exciting plan to execute. We will need help – if you want to join us please email me on paula@wildlifedirect.org and let me know!